WinWholesale Inc., one of the largest distributors in the nation, has selected Victaulic as its 2014 fire sprinkler system Vendor of the Year. Victaulic supplies products to WinWholesale local companies representing the Winsupply and Windustrial brands. WinWholesale Preferred Vendors were nominated based on volume sold over a period of years, being one of the leaders in growing the business, selling to a breadth of locations that buy the vendor’s type of product, and having no major issues during the past year. WinWholesale also announced other Vendor of the Year Awards in the plumbing, electrical, industrial, heating, ventilation and air conditioning, water works, pump, hydronic and tools categories. 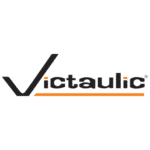 Since 1919, Victaulic has been the originator and world’s leading producer of mechanical pipe joining solutions. Used in the most demanding markets, Victaulic innovative piping technologies and services put people to work faster while increasing safety, ensuring reliability and maximizing efficiency. The company has 14 manufacturing facilities and 29 branches worldwide with 3,600 employees who speak 43 languages across the globe. With over 1,900 global patents, Victaulic solutions are at work in more than 140 countries across diverse business lines including oil and gas, chemical, mining, power generation, water and wastewater treatment, military and marine, as well as commercial building and fire protection. For more information visit www.victaulic.com. WinWholesale Inc. (www.winwholesale.com) is a leading supplier of residential and commercial construction and industrial supplies and materials headquartered in Dayton, Ohio. 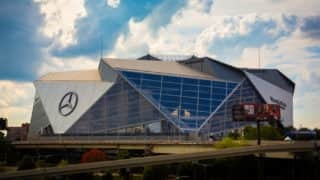 The privately-held company has more than 560 wholesaling locations in 45 states and offers entrepreneurs the unique opportunity to own part of the local business. Collectively, WinWholesale is known as “The Win Group of Companies” and includes Win-branded locations, Noland Company, Carr Supply and Wyatt Irrigation. In the group are companies conducting business-to-business wholesale distribution of supplies and materials in plumbing and heating; hydronics; pipe, valves and fittings; HVAC and refrigeration; electrical; fastening hardware; waterworks and utility; pumps; turf irrigation and landscape; and fire system fabrication. Follow WinWholesale on Facebook, Twitter and YouTube.